At a granular level, baked goods are little more than some combination of flour, butter, water and sugar. But take a step back—as we have, in this comprehensive look at Seattle’s best bakeries—and you’ll realize the power of pastries: made with equal parts passion and science, able to provoke frenzy and cure nostalgia, often transcending culture and class. They’re one of life’s simplest, and most delicious, pleasures. Maybe we’re reading too much into this—sampling our way through so many dozens of carbs has impacted our ability to think clearly. But what we thought would be a relatively simple project turned into not just a greater appreciation of what goes into our morning croissants, but grist for many heated debates: What makes a good kringle? Should cookies be cakey, crispy or chewy? (No, occasionally, always.) Which gluten-free baked goods are actually pretty great? And perhaps, most importantly, who’s cooking up a new batch of innovative bakeries around town? 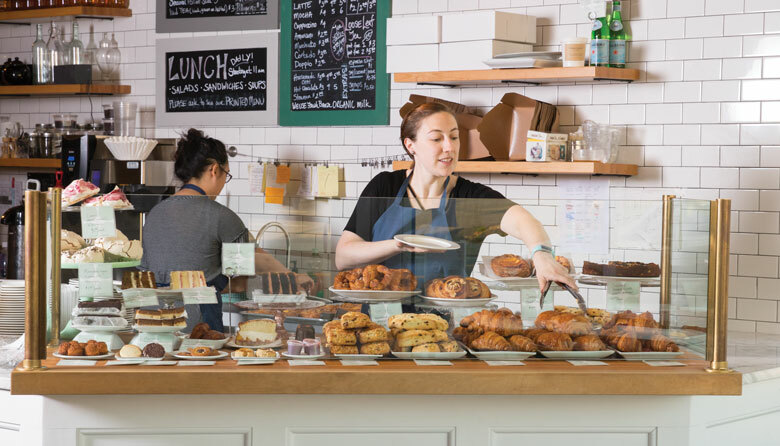 We’ve got answers and recommendations, particularly for our best all-around bakeries, which we’ve called out (and ranked) for their excellence in everything from delectable pastries to scrumptious desserts. Carb avoiders, read at your own risk.